Gary's wake is now confirmed on 17th January to be at the Twr y Felin Hotel, Fford Caerfai, St Davids, Pembrokeshire, SA62 6QT from 5pm after being set to rest at Narberth Crematorium, Narberth, Pembrokeshire, at 3.15pm . If the hotel carpark is full there will be plenty of parking at the Oriel Parc car park back towards the roundabout, which is free at this time of year and is a 2 minute walk to the hotel. Donations in lieu of flowers are to be sent to family friend Mrs Sue Woolcock, Cedarwood, Crundale, Pembrokeshire, SA62 4DF. Gary had asked that the money raised be used to buy a memorial bench to sit overlooking Goodwick/Fishguard Harbour where he and Denzel spent many hours together looking over the sea. There will also be a donation box at the hotel. Thank you. Dress Code - there was no particular request from Gary regarding this (although he did suggest wetsuits with a twinkle in his eye) so please just be comfortable. However - at the crematorium there will be Gary's personal collection of football shirts from around the World that he had collected and been gifted over the years and of course some Man Utd ones too. Please feel free to wear one during the service to brighten up proceedings and give him a good laugh. This will be led by his team-mates and chefs from the Hotel. Fabulous idea guys thank you. Safe travels and thank you all from myself, Kerri and Steph for all of your support, love and messages during this very emotional time. I'm very pleased to announce that my book is finally published! All about my life on the railway from boy to man, with views expressed on asle&f matters. Via Kindle still to be finalised. More expensive than I wanted but the price is determined by the size – over 340 pages with many photographs. If you buy it, I hope you like it. From Coal To Calais. : My Life on the Railway from Boy to Man. The third book by Geoff Burch is called Rambling ‘Railwayman’s Recollections’ starts where Geoff Burch’s first book ‘The Ramblings of a Railwaymam’ left off in 1967, covering his Secondman / Passed Secondman days at Woking MT, Driving days at Effingham Junction / Driving days at Woking M.T. / Instructing days at Waterloo South Side Training School / Training days at Surrey Police and finally, Instructing days at S.W.T. Basingstoke where he retired as Training Design Manager in 2009. The Book launch will take place on Saturday 22nd November at Guildford Museum, Castle Street, Guildford from 10.00 - 17.00 and light refreshments will be provided. Geoff’s other two books are 'The Ramblings of a Railwayman’ is about Geoff’s life as an engine cleaner / fireman at Guildford Loco from 1961 - 1967 which has completely sold out (although available in Ebook format). Geoff’s second book appropriately called ‘Further Ramblings of Railwaymen’ covers stories and anecdotes from eleven of Geoff’s work colleagues on the steam that worked at Guildford / Fratton / I.O.W. / Eastleigh / Salisbury and Weymouth - still available in hardback (half price) and Ebook. This book has been written by ex Brighton driver, Tim Wood, and he recalls his days working in the footplate grades at Brighton, from the mid 1990s through until he left the railway in the mid 2000s. 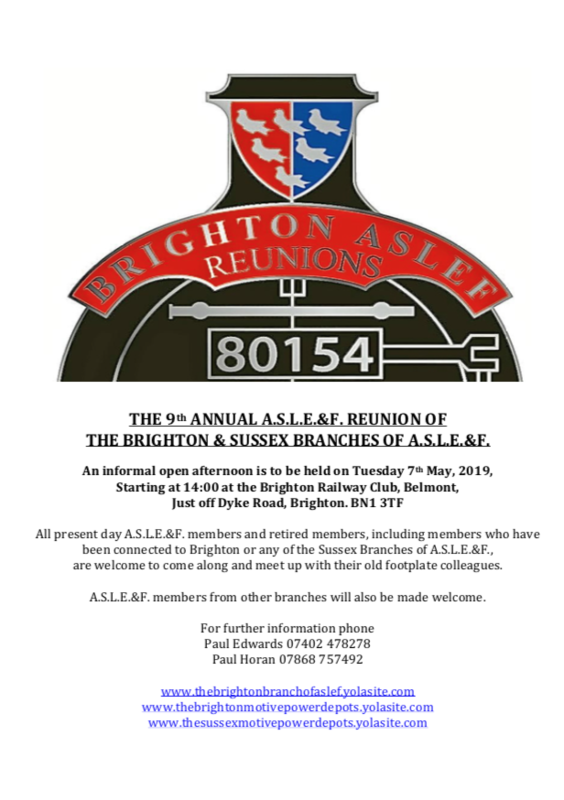 I have recently been in contact with one of Ernie Skinner’s children, and they are trying to find out more about their father’s working life as a loco-man at Bournemouth & Brighton. If anybody give help please could please get in contact with me via email or phone. I have been contact with Simon Jeffs who is looking for railway photos of his brother, Timothy Jeffs, a lifelong ASLEF member who started as a traction trainee at Redhill in 1974, moved on to Horsham EMUT between 1979-1994, and finished his career at Bournemouth in 2010 due to ill-health. Tim has sinced passed away. If anyone can help please can you let me know. (ex Nine Elms/Waterloo, Vic "E", Orpington & Tonbridge). Alan is trying to find out more about his late uncle Alfie Moon whose was a Motorman at Littlehampton Depot. Alfie Moon was involved in incident that happened at the first crossing on the Bognor branch. Shortly after this incident, Alfie Moon suffered a heart attack and passed away in c1957. Alfie lived next door to his mate who was also a Motorman, by the name of Norris. or as any info about him. We would be very grateful to find out more about him. Does anybody know any of the Motormen pictured above? 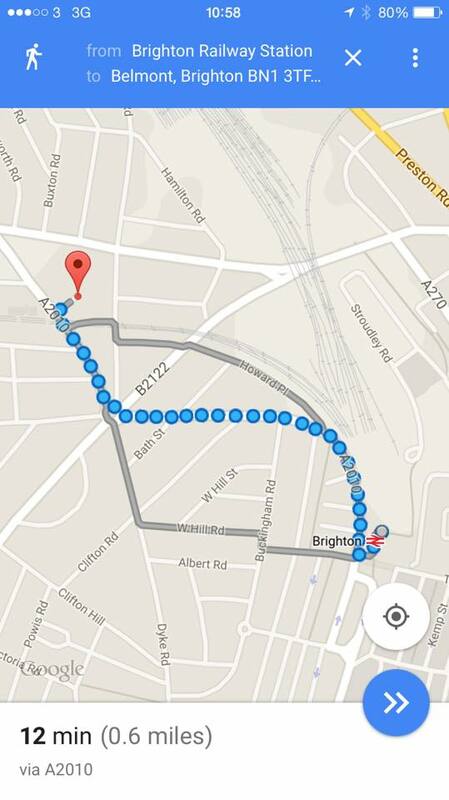 I am hoping that there may be a link to Brighton or any of the other Sussex depots. The only info I have is below curtsey of Steve West (Farnham Branch). The photo was taken in April 1949 at London Bridge (L.L.) whilst they were on their electric training. 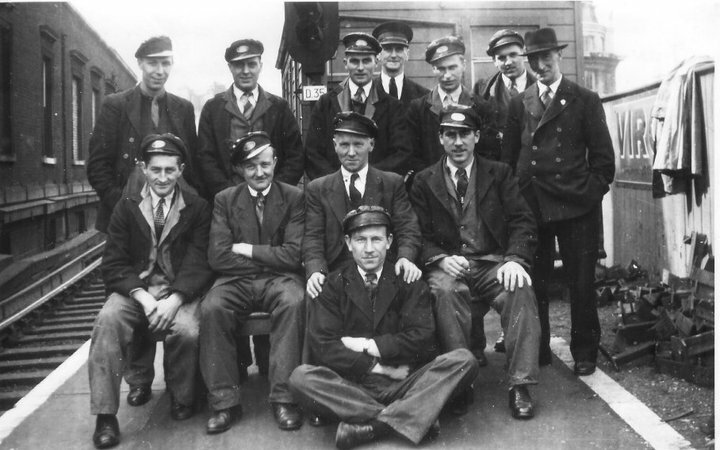 Ron Fulker (middle row 3rd from left) who started at Basingstoke as a cleaner and then Fireman in 1938. He got his drivers job at Addiscombe in 1949 and then moved to Farnham in the late Fifties. The Traction Inspector S. Bass (in the trilby hat) never worked on the steam. When the L.B.S.C Rly electrified with the overhead wires in 1911. In the early days of electrification a lot of the steam drivers did not want to become motormen owing to the difference in wages, so the railway opened the vacancies to the various traffic grades like Guards and Signalmen and they became Motormen.